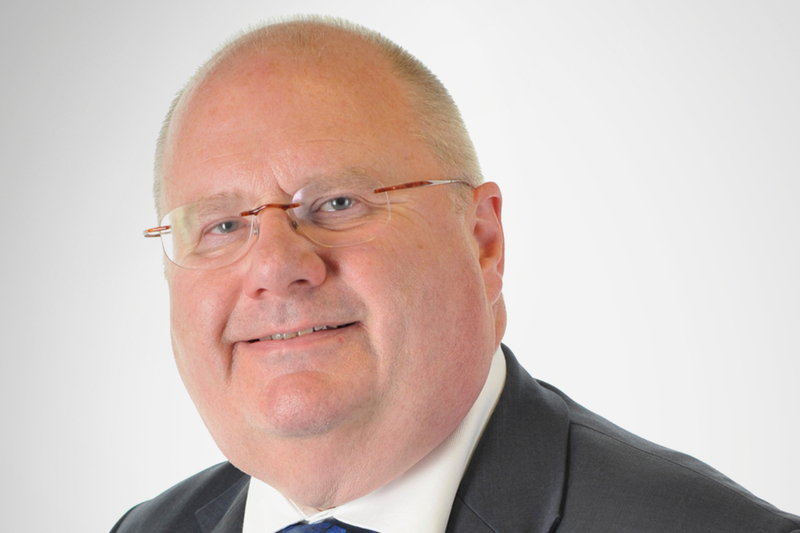 The Secretary of State for Communities and Local Government (Mr Eric Pickles): I would like to update Hon. Members on the main items of business undertaken by my Department since the House rose for Christmas Recess on 20 December 2011. Decentralisation of funding and ensuring greater value for taxpayers’ money are key goals for my Department. On 21 December 2011, my Department announced fourteen new Community Budget areas that will be able to combine resources into a locally coordinated funding pot with greater local control that will help improve services for local people. Four ‘whole place’ pilots will create a joint team with local partners to establish devolved budget proposals with decision making structures for a locally run operation during this year. This will help achieve significant public sector savings, cut red tape and improve policy making. Ten ‘neighbourhood level’ areas have also been selected to develop smaller scale Community Budgets that will give residents a micro-local level say over the services they want and use. The local community will play a leading role, working with councils and professionals, to shape local services so they work from a customer’s perspective. Reflecting our commitment to greater local government transparency, on 29 December 2011, my Department published detailed figures for council budget reserves based on Revenue Budget forecast returns for 2011-12 provided by local authorities. Overall, English local authorities expect to be holding £10.8 billion in reserves on 31 March 2012. Their forecasts a year ago on 31 March 2011 totalled £11 billion. Determining the level and use of reserves is a matter for individual local authorities, taking into account local challenges and priorities. However this demonstrates many councils have room for manoeuvre with their finances that can help them deliver more efficient local services in future years. Following the decision to abolish the Audit Commission, the Government sought views last year on a new, more transparent and accountable local public audit framework that would reduce the cost of public audit and maintain high standards of scrutiny over public money. On 4 January 2012, my Department published proposals for its next steps for the audit of local public bodies. The new framework will free local bodies to appoint their own independent auditors from an open and competitive market. It will be based on the private sector audit model with transparent regulation overseen by the Financial Reporting Council and the National Audit Office. Separate arrangements will be developed for smaller bodies like parish councils. The Government intends to bring forward legislation to formally close down the Audit Commission and introduce the new framework as soon as Parliamentary time allows. A draft Bill will be published for pre-legislative scrutiny in the spring. In November 2011, my Department published an ambitious housing strategy to tackle the housing shortage, boost the economy, create jobs and give people the opportunity to get on the housing ladder. The Housing Strategy included an announcement of our plans to increase the Right to Buy. Right to Buy can promote opportunity and boost social mobility for social housing tenants but restrictions on discounts in recent years have limited the impact of the scheme. To ensure that there is no reduction in the supply of affordable homes any additional home bought under the Right to Buy will, for the first time, lead directly to the provision of a new affordable home for rent on a one-to-one basis. On 22 December 2011 the Department published our proposals to increase the discount cap under the Right to Buy scheme to £50,000, making it easier for social tenants to buy their homes. Also on 22 December 2011, my Department announced further details of the £420 million Get Britain Building fund. The Fund will help builders with planning permission get back onto housing sites that have been shut down because of problems accessing development finance. Over the next two years, this £420 million fund is expected to unlock up to 16,000 homes on sites that are currently stalled, and help create up to 30,000 jobs in construction and related industries. The Government wants to see investment and support right across the housing sector to improve the rental market and opportunities for homeownership. On 23 December 2011, my Department confirmed that Sir Adrian Montague will lead a review of barriers to investment in rented homes. The review will examine how best to encourage greater investment in rental properties - helping support the rapid growth of the private rented sector by increasing the supply of affordable homes. On 5 January 2012, my Department published new allocations guidance for consultation that will release councils and housing associations from the shackles of the current tick-box approach for allocating social homes. The new freedoms will ensure councils and housing associations can reward achievement and encourage housing mobility - so scarce and precious social homes go to people who genuinely need and deserve them the most, such as hard working families and ex-servicemen and women. At the same time, housing providers will be able to tackle the tenants who are able to work but do not take up opportunities for jobs. For too long there has been a sense of unfairness over who gets to live in social housing, with a common belief that tenancies only go to those who know how to play the system. Several councils have already indicated they want to introduce a new flexible approach to manage allocations - Westminster, Southend and Manchester councils will prioritise those who show responsibility and make an effort to find work, and in Wandsworth those tenants on new flexible contracts who do not make an effort to find work will risk losing their tenancy. On 21 December 2011, my Department announced an additional £20 million to provide single people facing homelessness more housing options to ensure they do not have to spend time on the streets. This funding is in addition to the £400 million Preventing Homelessness Grant. A new programme will also be introduced to help local authorities improve their homelessness prevention process for single people. £8 million from the Homelessness Transition Fund, which was set up to help support the national rough sleeping strategy, has been allocated to 19 communities across England to support a national roll out of London flagship ‘No Second Night Out’. The initiative works with local communities to help provide the accommodation and support for rough sleepers. On 3 January 2012, the Department for Health announced a one-off additional £150 million will be allocated to Primary Care Trusts in England, for immediate transfer to local authorities for investment in social care services which also benefit the health system. For those needing adaptations to their homes, the Government has confirmed an additional £20 million for Disabled Facilities Grants - bringing the total to £200 million for 2011-12 alone. These agencies also offer hospital discharge services - ensuring older people leaving hospital care are given the support they need to be able to recuperate in the comfort of their own homes. We are also providing £1.5 million funding for FirstStop, which provides independent advice to older people looking to plan their future housing needs - whether in their own homes, or in care homes. This is in addition to work already underway to look at new and innovative ways in which elderly people can fund their future care needs without having to resort to selling their property. On 7 January 2012, my Department announced the successful outcome of bids for £60 million of funding that will provide new authorised pitches and better facilities for travellers on official sites. The Homes and Communities Agency have completed their assessment of bids and have recommended offers that will deliver over 750 new and improved pitches at a cost of £47 million. The remaining fund will continue to be considered and the Agency will help those who did not see their bids approved to resubmit improved offers. This support for official traveller pitches goes hand in hand with action against unauthorised traveller sites. Through the Localism Act, the Government is introducing stronger powers for councils to tackle the abuse of retrospective planning permission. These strengthened powers are helping councils tackle any form of unauthorised development. The new authorised travellers’ sites will provide help to reduce the number of unauthorised sites, which create tensions between travellers and the settled community. The last Government’s approach was ineffective because traveller site funding was allocated but often remained unspent. By imposing top-down targets for traveller sites, local councils were compelled to encroach onto the Green Belt and open countryside, harming community relations and further leading to an increase in the number of unauthorised sites. On 6 January 2012, my Department set out proposals to allow a much wider range of flags to be flown without the need for planning permission. Under current planning rules, only a select group of flags can be flown without express permission from councils and a fee of up to £335. Under the new rules, people will be able to fly a much wider range of flags including the flags of football and cricket teams or towns and villages. It will also allow communities to show support for our armed forces by easing rules on flying local regimental flags. If people want to celebrate something that is important to them by flying a flag they should be able to do so without having to fill in forms or paying town hall officials for the privilege. This will make it easier for people to celebrate their allegiance to a cause, a county or a local organisation if they choose to do so. I am placing the press notices and documents associated with these announcements in the Library of the House.